Women’s Advocates’ mission is to eliminate violence in the lives of women, children and families. Women’s Advocates’ vision is a society free from violence where all individuals and families are safe and can live productive and healthy lives. Women’s Advocates’ core values are belonging, collaboration, compassion, data driven decision making, dignity and respect, excellence, and safety. These values infuse all practices and activities within our organization. 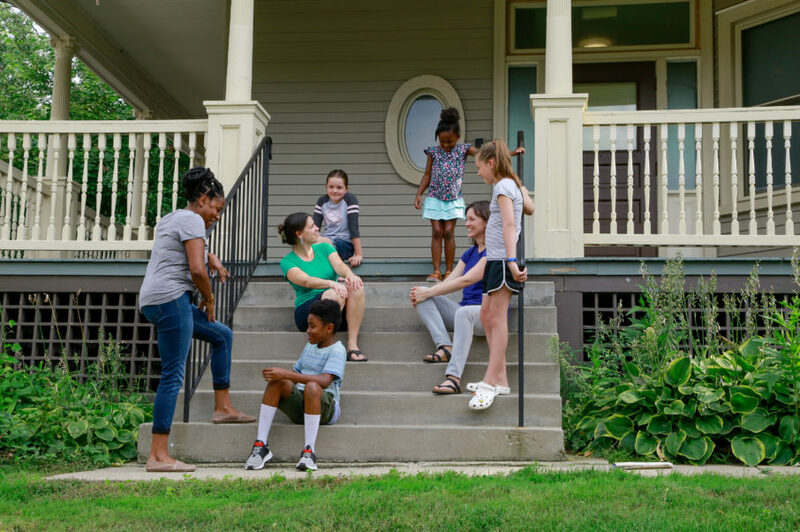 Women’s Advocates was the first shelter in the nation for women and their children escaping domestic violence. Find out about the women’s safety movement and get connected to our sister organizations. Women’s Advocates has a staff of 30 full-time and part-time staff who carry the mission forward. Women’s Advocates is governed by a volunteer Board of Directors who help to advance our mission. Women’s Advocates is a grantee of the MN Office of Justice Programs. Additional support is received from individual foundation supporters. View our 990s, audits and annual reports.